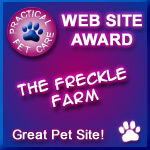 Welcome to The Freckle Farm! Where I share my love for the Dalmatian. 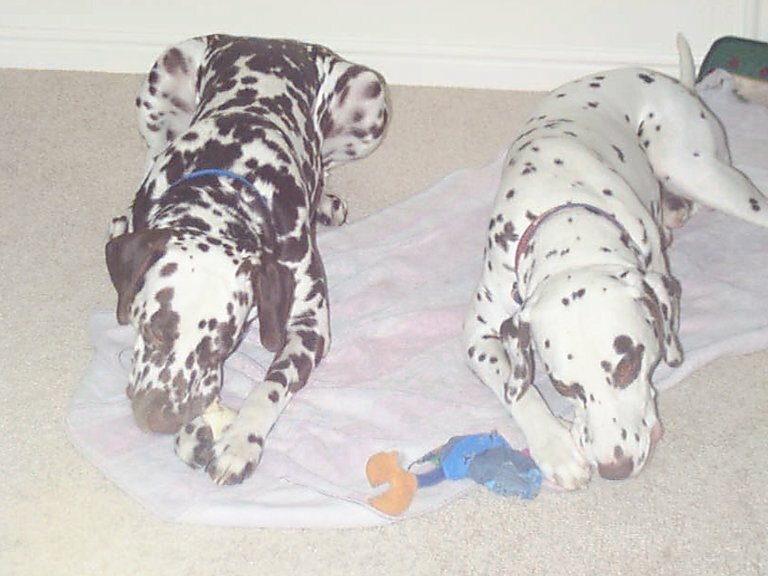 Dalmatians are medium-sized, short coated dogs. The accepted size in the USA is between 19-24 inches at the shoulder. Weight ranges from 40-70 pounds. Females are generally smaller than males. Meet my Dalmatian Sammi the site mascot! You will find her photos throughout the site. 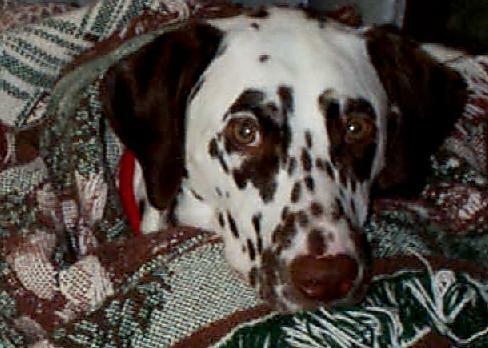 She is a liver spot Dalmatian with energy to spare and a heart of gold! Photos also feature Sunny her friend and companion. If there is water near Sunny will be right there! Then there is Chandler, Sammi's brother he is the newest addition to our family. 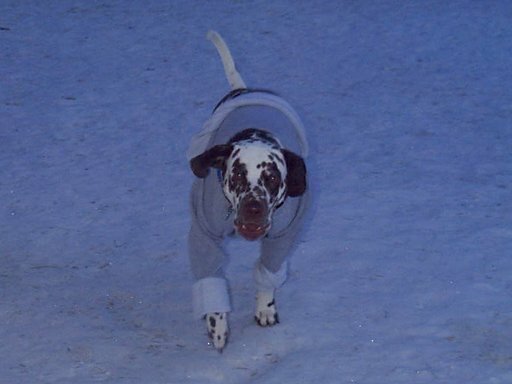 The Dalmatian is built for long distance endurance. It is well-muscled, without being coarse, with a capacious, deep chest. The coat is quite short and predominantly white with distinctive round spots in either black or liver (brown). 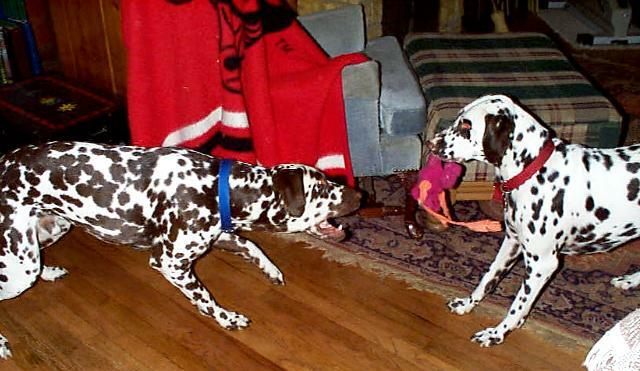 The Dalmatian is an active, energetic dog that enjoys lots of exercise. Dalmatians are people-like and people oriented offering you a full toothed smile when you enter the room. They do best when given the opportunity to spend lots of time with and around their families. So if you have the energy and the time to give lots of love. The Dalmation maybe just the addition your family is looking for! 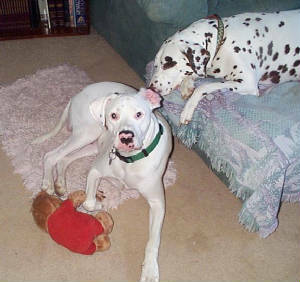 Hereditary deafness is a condition prevalent in Dalmatians. This is a polygenic problem, which means that it can't currently be bred out of the breed. ALL Dalmatian bloodlines suffer from deafness. 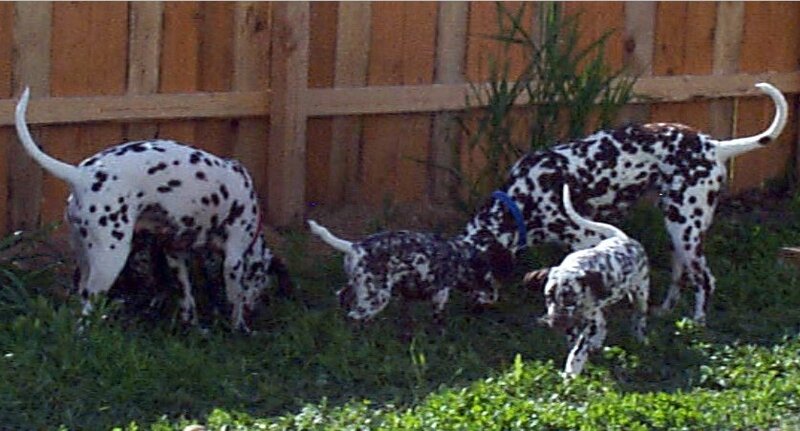 There are some individual dogs who produce few deaf puppies in their offspring. Approximately 8% of the breed are born completely deaf, and another 22% to 24% are born with unilateral hearing, or hearing in one ear only. Normal puppies will have hearing in both ears, known as bilateral normal hearing. All puppies are born with their ear canals closed, which should open at 12-16 days. The deafness is characterized by the permanent deterioration by the age of six weeks in the organs of Corti, the group of nerve cells inside the cochlea that detect sound. The loss cannot be reversed or corrected. 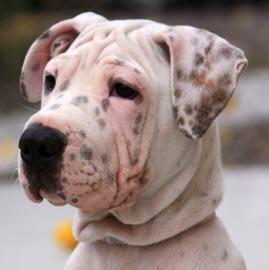 All Dalmatian puppies should be definitively tested for deafness. Please be sure to send us your comments!